Watch out: Bikes are vehicles, not toys! What’s it like to be nearly 5 years old? Open the windows of learning wide! Cuddling with a parent and a good book, quiet talks just before bed, hugs and kisses for no reason at all are the best gifts to give your child. The gift of saying “I love you” never goes out of style and the color and fit are always perfect. You could write it in the snow, learn it in sign language, write it in pictures to go in a lunch box, tape record it on a secret message, or frost it on a cookie. Whatever way you choose to tell your family members you love them, it is a great habit to get into! Maybe your family isn’t the type to say, “I love you” all the time. Actions speak as lovingly as words. Everyone needs to know that they are loved. Another way to say “I love you” is by listening to your child and recognizing his feelings. Try to accept his feelings and limit hurtful actions. • Some examples might include, “I see you are really excited. You can jump on the floor but we sit on the couch” (for a child who is jumping on the couch). • Another example is “You feel angry. You need to tell Susie, no hitting; that hurts” (for a child who has been hit by a playmate and is about to hit back). Healthy kids usually eat when they are hungry and they stop when they start to feel full. Your child probably knows how much to eat. She knows when to stop eating if you do not force her to eat more. You decide what foods to offer and plan regular times to eat. Let your child pick from foods you offer and decide how much to eat. Giving your child that right and respect is important. 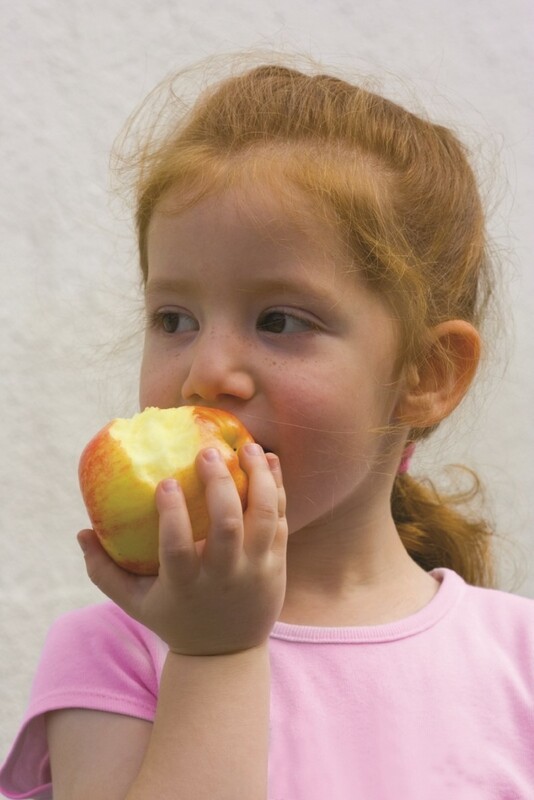 Your child probably is eating enough if she is full of energy, is growing, and seems healthy. If your child is losing weight or has special food needs, get help from a doctor. This is not the time to figure out the problem by yourself. Offering small portions and letting your child ask for more. Letting your child serve herself. Allowing enough time to give your child a chance to feel full. Taking food away when your child stops eating. Offering a small snack if your child is hungry between meals. Learning hunger cues is important. Keep eating times relaxed so your child learns body signals for being hungry and feeling full. That is how your child can learn to eat in a normal way, not overeat. That is a good habit for lifelong health. Your child may gain too much weight if you try to get her to eat when she is full or you don’t let her eat when she is hungry. Surprised? It is obvious that eating too much can make people fat, but not having enough food can have the same result. Your child might overeat later when there is another chance to eat. For example, skipping breakfast can lead to overeating at lunch. Your child is watching you. If you overeat, your child may, too. Your child learns how to eat by seeing how you eat. Keep your own portions sensible. Start with a small amount; only eat more if you are hungry. Eat when you are hungry, not just bored or stressed. Slow down to eat the right amounts. When you take care of yourself, you take care of your child, too! Children become aware of death in a variety of ways early in life, in the real world and in the fantasy world of television and movies. Because these two worlds are so different, it can confuse a child. In the real world, a pet or family member may die. Children, who are in the room when the evening news is on, may see all kinds of deaths that can be very disturbing. Children also are exposed to death on television shows, movies, and cartoons. Often these make-believe deaths are violent and not a natural part of life. Children can become confused by what they see on television. For example, an actor who died on one program may appear alive the same day on another show. Preschoolers think being dead is like sleeping. The preschooler thinks that death is similar to being awake and asleep. She sees death as reversible. Therefore, it may not seem sad to her. Preschoolers think that only older people die. Others believe that the dead are living elsewhere and waiting to return, perhaps as a baby. They are concerned about the “living dead” being able to breathe, eat and getting cold. Once the preschooler realizes the loved one is not returning, she may immediately seek a substitute. When told of her mother’s death, a 5-yearold asked whether the mother was an angel now. Then she promptly asked her father when he was going to get her a new mother. Children take what is said literally and have trouble understanding such religious concepts as Heaven, the hereafter, eternity or being with God. If told their pet is having a good time in Heaven, the young child can’t understand why she can’t go to Heaven, too. One child thought that the body in the casket would be without a head or limbs because that was what the word “body” meant to her. 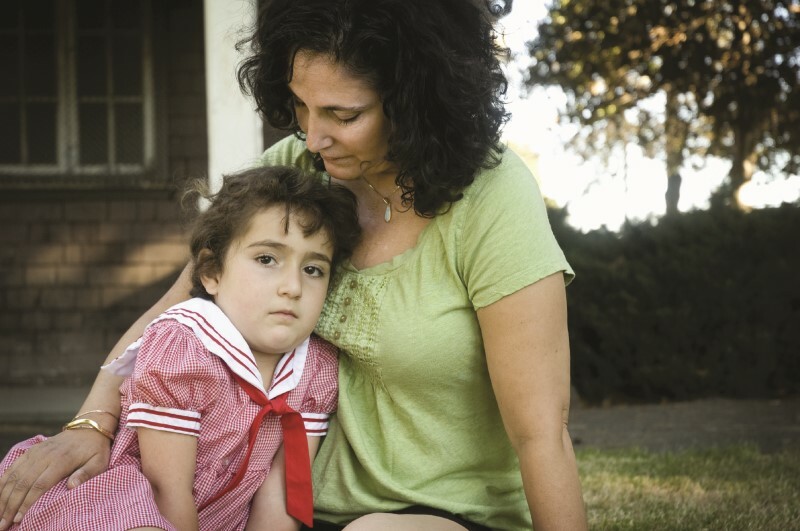 Parents can help children cope with death and express grief. Take advantage of opportunities in everyday life to talk with children about death. When young children express their interest in dead plants or animals, take time to discuss it. Bring up the subject if children do not. Give them plenty of time to tell you what they know and how they feel. Correct their misconceptions, even though they may be too young to understand. The actions of others, especially parents, affect children’s response to death. When a brother or sister has died, for example, the child may feel abandoned not only by the deceased, but also by the grieving parents. If the sibling died after a long or painful illness, surviving children may become hypochondriacs in order to get the attention of parents who are not interacting with them. Children of all ages apparently feel left out when there is a death in the family —even when parents think they are communicating. Remind children of the times when they were kind to the dead person —to help reduce guilty feelings. Give each child some individual attention. Children grieve in unique ways. Let children get back to normal daily routines and activities as soon as they are ready. Children do not grieve in the same way or to the same degree as adults do. See each child as worthy and unique. When children tell you what they think and feel about death, do not laugh, make fun of, or put them down. Do not betray their confidence by telling others what they said. Let children know that it is all right for boys and men to cry. As a parent, think about your own feelings and beliefs about death so that you can talk comfortably about it. Don’t worry about what other people will think. Do what is best for your family. Be open to a discussion whenever your child brings it up or whenever a death has occurred. Do not try to explain all about death in one easy lesson. Encourage children to express the bad as well as the good feelings about the person who died. This will help them work out anger, guilt and other emotional feelings. Couples who are parents have joys and challenges as they raise their child. The couple relationship is still very meaningful, but usually not the same as before a child. Thus, parents need to adjust their expectations for each other and the relationship. Couples may feel less connected and have less time for one another at times. Couples may experience a decline in sexual affection, and feel tired more often than before having children. This is normal and not an indication that your relationship is in trouble. Set a regular time each day to have personal time as a couple for discussion and re-connecting emotionally. Also, find time each week to get out together as a couple and spend time together. Fifteen minutes a day can make a real difference in your relationship. Mom may give so much time and attention to a child that she has little left for others —especially her spouse or partner. Does her partner feel important and like a priority in her life? Make sure that each parent feels included in the family circle. Men may need to take more time to become emotionally involved with the care of a younger child and all that involves. Discuss practical ways that Dad can connect with your child through play, reading, snuggling or just providing support to Mom. Women may feel their needs or the child’s needs are ignored if a man focuses too much on work or his own needs. Take 5 – 10 minutes a day to assess your “emotional temperature” and decide if you feel distant and disengaged —or if you feel comfortable and connected with each other. I enjoy activities requiring hand skills. I have adult-like posture in throwing and catching. I like dancing, am rhythmic and graceful. I am curious about everything. I am ready for short trips into the community. I talk clearly about my ideas. I am self-centered about my ideas. I make a plan before star ting a project. My pretend play is more realistic. I am becoming poised and self-confident. I copy adult behavior and ac t grown-up. I am aware of rules and explain them to others. I play in groups of two to five children. I am less competitive than at age 4. I am sensitive to teasing and get hurt feelings easily. I like the companionship of adults. I have to be right. I am sociable and like to visit. Most differences are normal. Focus on what your child can do and get excited about each new skill. If you notice that your child is lagging behind in one or more areas for several months, circle the things that your child is still learning to do. Check the things your child can do. Use this list to talk with your doctor about your child’s development. Every year, nearly 50,000 bicyclists suffer serious head injuries. More than half of all bicyclists who die are school-aged children aged 5 to 17. What can parents do to protect their child? Buy an approved helmet and insist that your child wear it every time he rides. Approved helmets have a label stating that they meet the Consumer Product Safety Commission’s safety standard. Set a good example and wear a helmet yourself. Teach your children bicycle safety rules. Remember, children under 10 should never ride their bikes in the road or street. Sidewalks, paths and driveways are the only safe options. Young children are not able to see and avoid dangerous traffic situations. 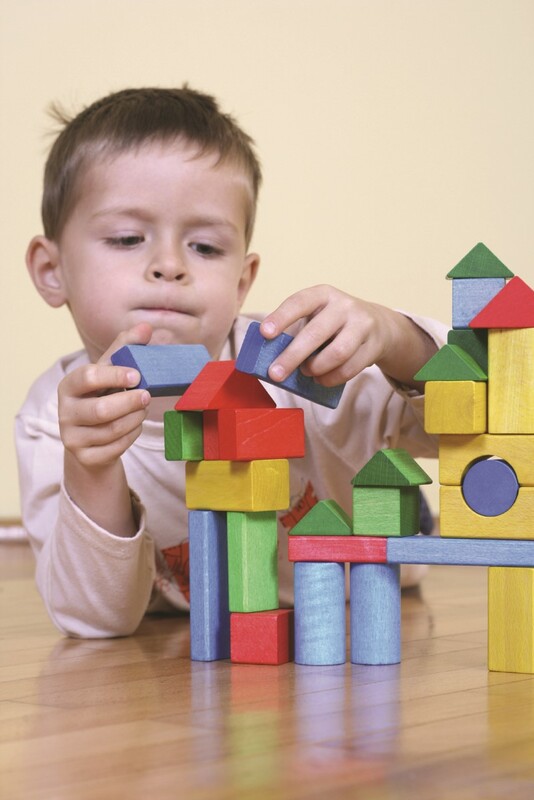 Provide a variety of brainbuilding activities and experiences. Children need simple, hands-on experiences for their brains to develop. These experiences include touching, talking, listening, tasting, smelling, playing, singing, looking and running. Encourage them to explore, draw, build, and be physically active. Limit the time that four and five year olds spend with television or preprogrammed mechanical toys. Talk, laugh, sing —children need to do these with you. Speak directly to your child and ask questions that encourage your child to tell you more than just “yes” or “no”. Play a variety of music from different types of instruments and cultures. Give time each day to practice and encourage repetition of songs, stories and other experiences. Telling the same stories and singing the same songs over and over may feel boring to you, but it is not boring to children. Have you ever noticed that children like to repeat certain routines? Your child may prefer a certain bedtime routine each night or ask you to read a particular book again and again. 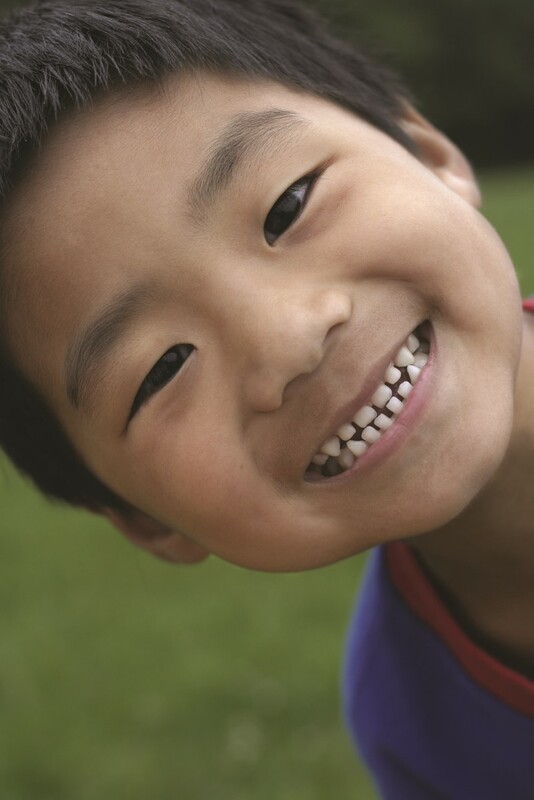 Provide opportunities that challenge and stretch your child’s abilities. Young children learn most when they can play slightly above their current ability with the help of an adult. • You can help your child learn to hit a ball with a big bat. • First, let her hit the ball rolled on the ground. • Then throw the ball in the air for her to hit. Play games with your child that help him learn new skills and provide a little challenge. You provide just enough help for your child to learn to do it himself. Over time, your child’s sense of “I can do it” will grow. Much of 4-5 year-old children’s behavior troubles are due to poor memory. Although memory is steadily improving, children may repeat the same mistakes because they have forgotten past experiences or consequences. They remember only a few words or ideas when someone is talking to them and have difficulty remembering what happened this morning or yesterday. Their short memory makes children unable to follow too many instructions given at the same time. Don’t be surprised if your child does not follow all your instructions when you say, “Take those toys upstairs to your room, put on your pajamas, brush your teeth and hurry up!” Your child will probably brush her teeth thinking she has done what she was told. When you tell too much, too fast, it upsets and confuses your child.